we specialize in customizing your event to make it memorable and individualized. 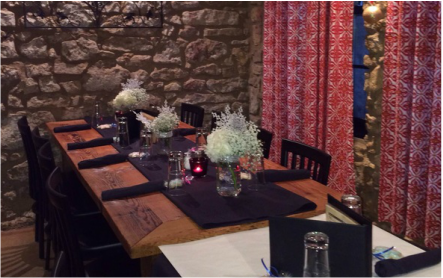 we have private & semi-private dining spaces to accommodate lunch or dinner groups both large and small (see below). please contact us (email or phone) to set up your next special event. these are two popular group options, we specialize in customizing your event to make it memorable and individualized, just ask! we will customize and design a menu with your own personal message and/or photo for your guests! *** Food and beverage minimums apply for private dining room reservations, please inquire when booking. we try to think of all the details so you don't have to. a local master gardener delivers fresh-cut flower arrangements for our special events. small bouquets for $12 and large $35. a beautiful and classic accent to every event! the stone dining room, located in our lower level, has a completely private and romantic atmosphere. 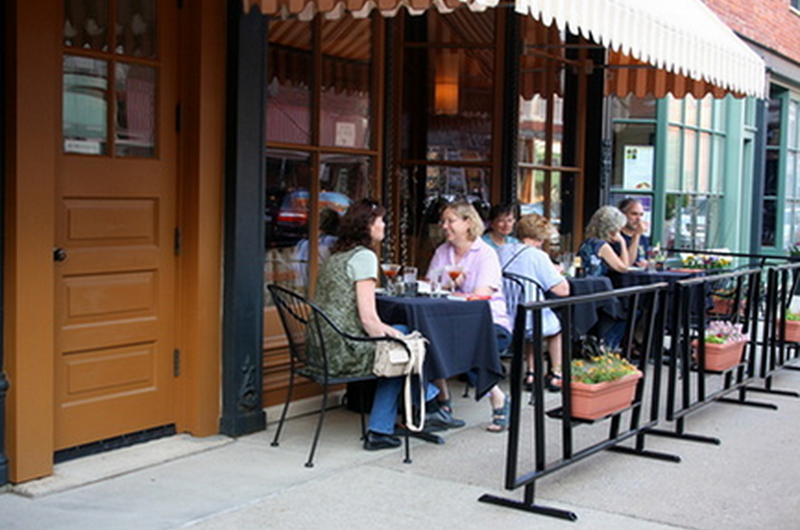 it is also a perfect spot for private business meetings. food and beverage minimums apply to book a private room. 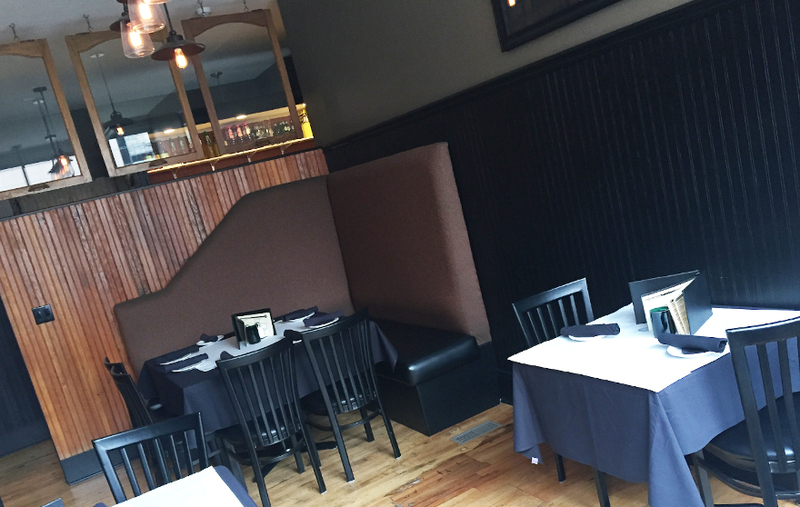 our smaller street level dining room is ideal for an intimate birthday party celebration or smaller business dinner. 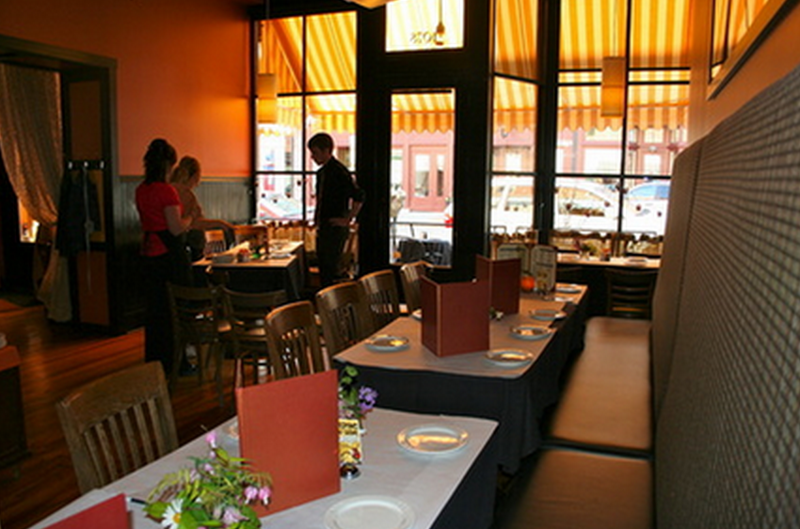 our largest dining room on street level is perfect for your dinner or business function. not available to book on Friday or Saturday nights. the newest addition at L.May! this cozy space seats 10-16 persons comfortably. food and beverage minimums apply to book a private room.